4 months after the 3.1 release, Apache JMeter 3.2 has been released with another set of very nice features. We’ll show you in this blog the most important ones. Although there is some confusion in the community on JMeter version numbering, version 3.2 is not a minor version. With 55 enhancements and 41 bug fixes, it is a major version that deserves your attention, and of course upgrading is highly advised. 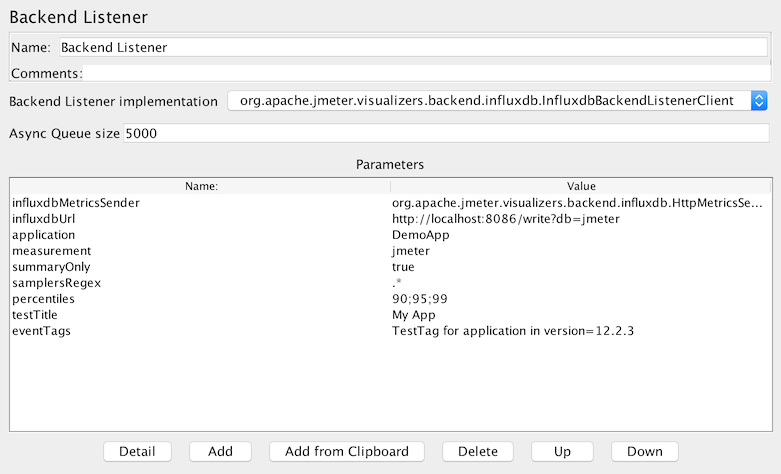 We’ll see in this blog what features have been brought by Apache JMeter team and the 20 contributors who helped creating this awesome new version. 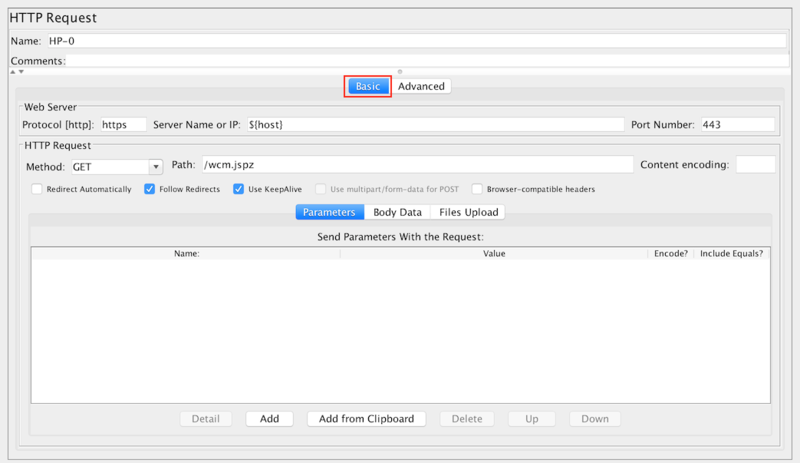 The UI of JMeter which is often criticized for its complexity has been simplified in many fields. Let’s see some of those improvements. UI has been split into 2 tabs. First one for most common properties and particularly the “Prefix” which allows you to name each transaction during recording. A new feature that’s very useful for correlation has been introduced which allows replacing some data by variables for example. Also note that search feature give you now the number of matches for the search. 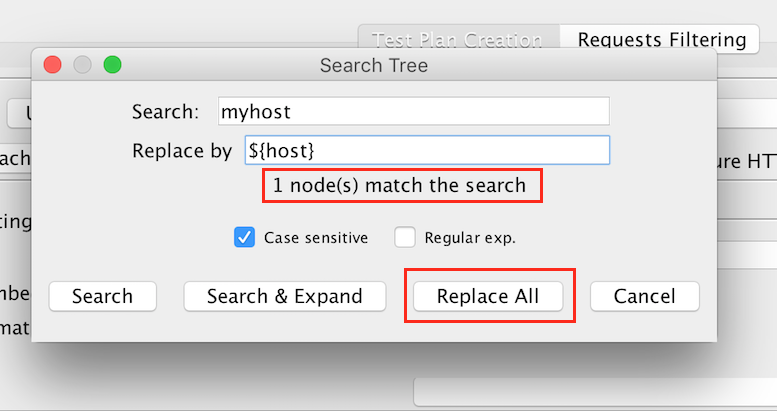 This feature will be enhanced in future versions of JMeter. Apache JMeter 3.2 is also a major version as migration to Java 8 has been done with a tons of code improvements taking advantage of Java 8 great features (Lambdas, Streams, …). Thanks to the contribution of Woonsan Ko, logging has been migrated from LogKit to SLF4J and Apache Log4j2 bringing standard and easier configuration of logging as it now relies on 2 major logging frameworks. This will also improve logging performances as it relies on one of the fastest logging frameworks (Apache Log4j2 benchmark). This migration allowed the drop of 4 outdated libraries. Now configuration of Logging is done in log4j2.xml file located in jmeter/bin folder. In another field, the old commons-httpclient library has been dropped as Preemptive Basic Authentication has been implemented for HTTPClient4. This both simplifies configuration for JMeter users and eases maintainability of the project by reducing code base and dropping another deprecated library. Finally, Sonar Qube has been setup for Apache JMeter build process and an important work on code quality and test coverage has been done, you can see the Sonar JMeter report. 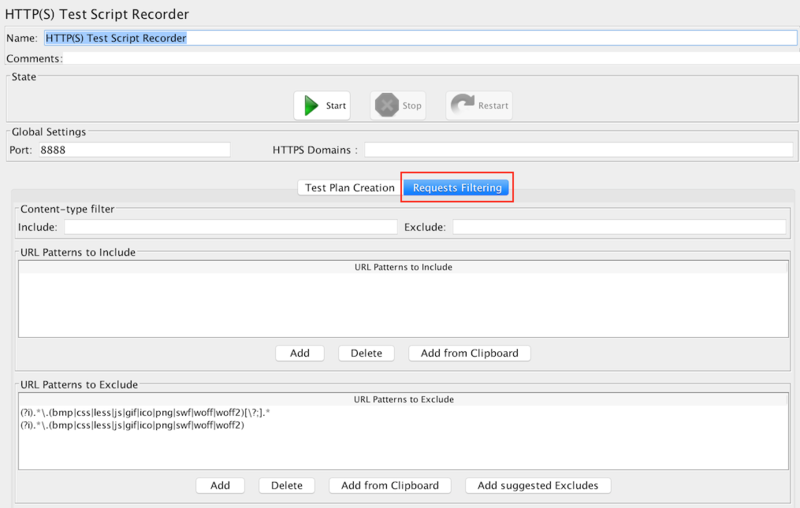 In Apache JMeter 3.2, the Backend Listener has been enhanced with a new Backend Listener client that allows writing results into an InfluxDB Backend. This feature was really needed because those 2 thresholds always vary depending on type of transaction concerned, for example, for an e-commerce website, a user will accept to wait more during a payment transaction than when doing a search. So this needed to be reflected in the APDEX computation. 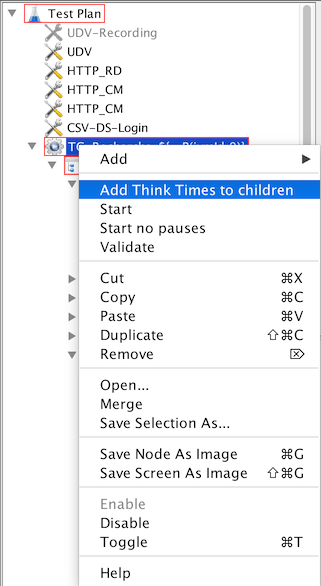 Apache JMeter 3.2 continues to improve Think Time experience with a new menu that now allows you to add Think Time between children of a node in one click. When you have a lot of scripts to maintain, having a Naming policy for scripts can help a lot. 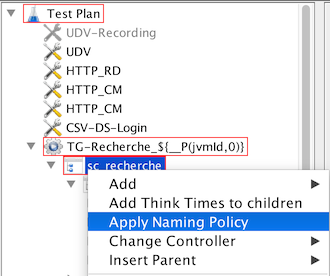 JMeter 3.2 proposes a default one that you can customize by implementing your own policy. 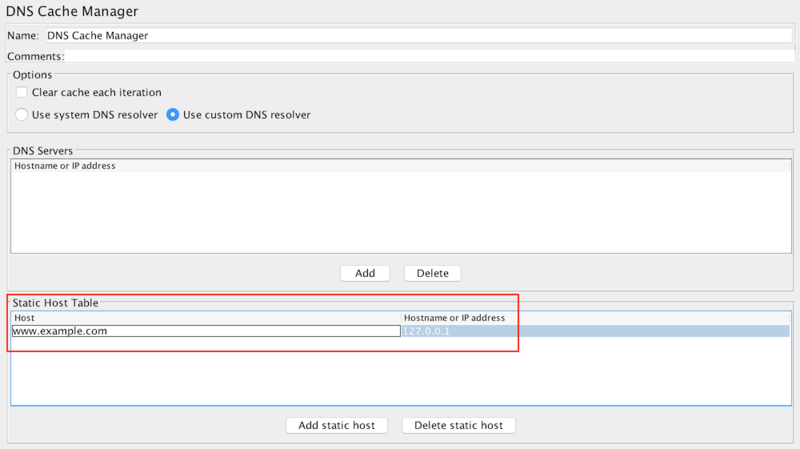 This component which gives more control on DNS resolution, Apache JMeter 3.2 has been improved with a new “Static host table” feature. Say, you have a test server, that you want to reach with a name, that is not (yet) set up in your DNS servers. For our example, this would be www.example.com for the server name, which you want to reach at the IP “127.0.0.1″. Then thanks to below configuration, all requests will be sent to 127.0.0.1 using “www.example.com” in all headers mimicking production situation. In Apache JMeter 3.2, this very useful component has been aligned on other extractors to allow more control on extraction of text matching XPath. You can now extract easily a random match, a particular match or all matches. This is particularly useful with UbikLoadPack JavaSerialization and GWTRPC plugins. 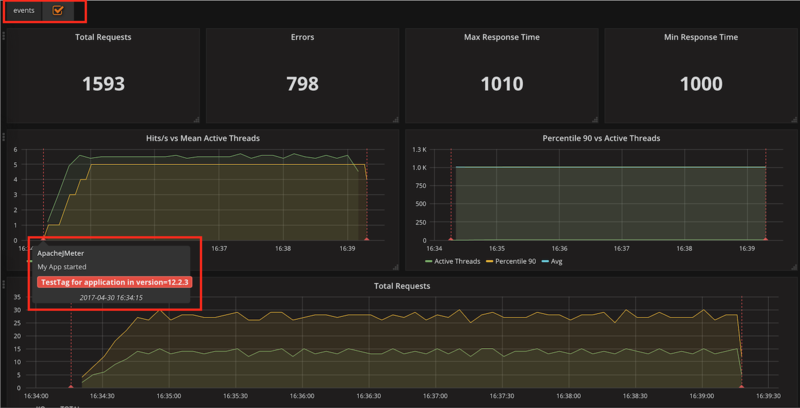 Dependencies upgrades with major performance improvements in the critical JODD library used by JMeter. We’re happy at Ubik-Ingenierie to have contributed to some of JODD performance improvements. As you can see, JMeter continues to innovate and improve in all fields thanks to the work of its core committers, a growing community of contributors and users, and a lot of commercial and Cloud solutions built around it. 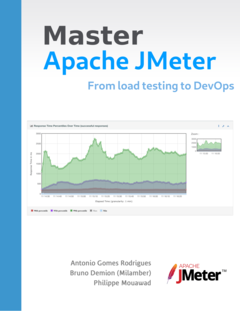 Read Apache JMeter 3.2 full release notes here. So download it and start playing. And if you need training, support or third party plugins, contact us. Philippe Mouawad works as an Architect and technical expert for Ubik-Ingenierie where he leads among other things the development of UbikLoadPack a set of Commercial Plugins for Apache JMeter allowing to load test different protocols like MPEG-DASH, Http Live Streaming, GWT, JavaSerialization.